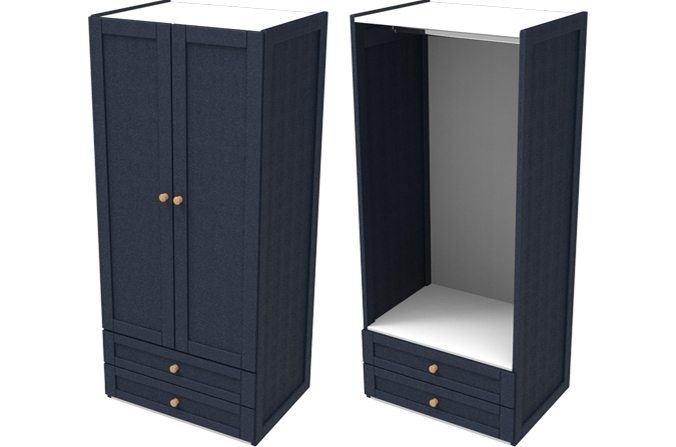 Children's Sierra Navy Double Combi Wardrobe - In Midnight Blue also available in Arctic White. 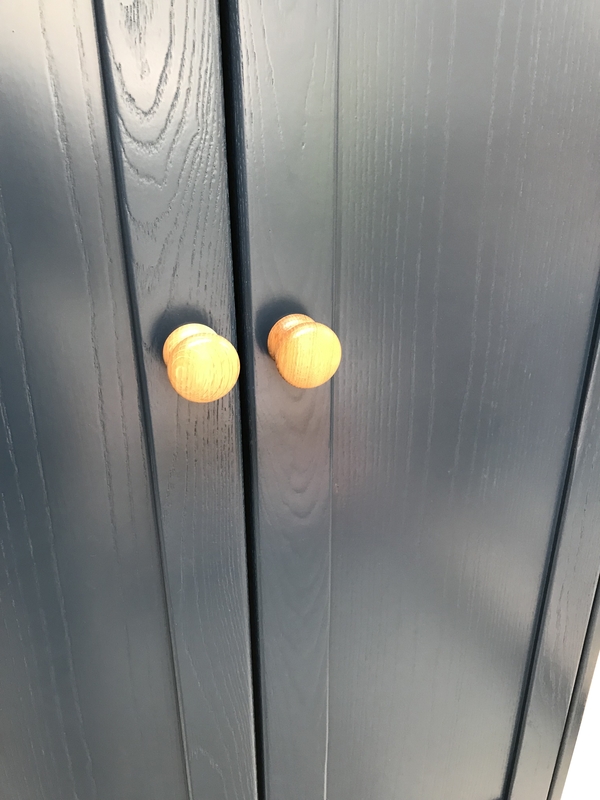 Made from solid ash hardwood with oak door knob detailing. 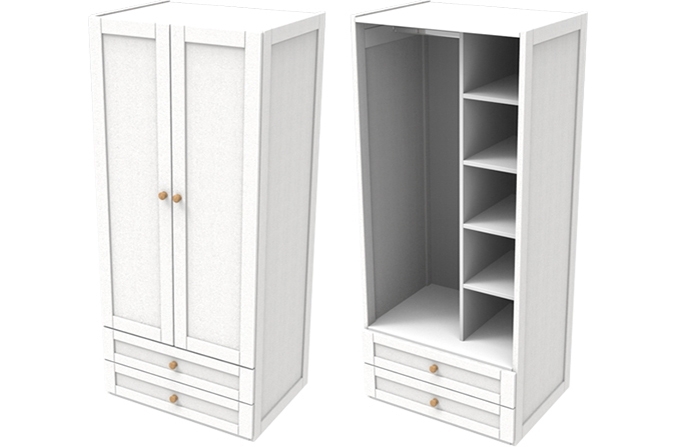 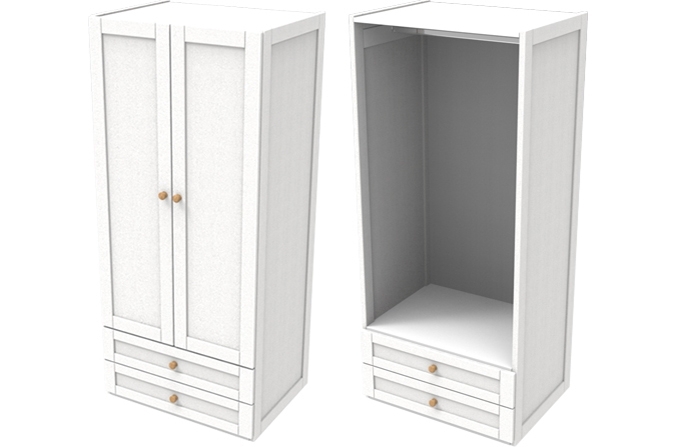 The Sierra Double Combi Wardrobe matches all other Sierra furniture.